While many sub-standard clone consoles exist on the market, this is NOT one of them. The Super Nt is a re-imagining of one of the greatest video game consoles of all time. 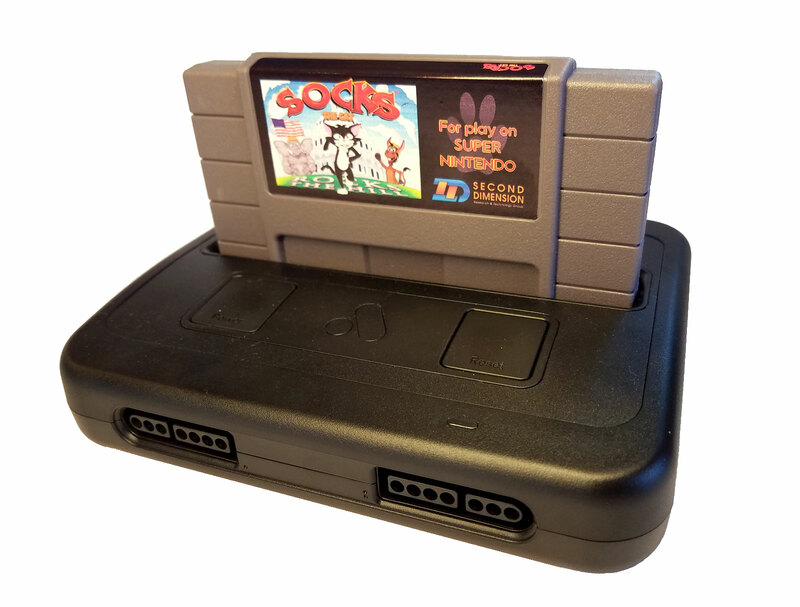 There's no emulation or lag due to being engineered with an FPGA. It outputs via HDMI at 1080p with total accuracy. The Super Nt is not a plug & play toy. 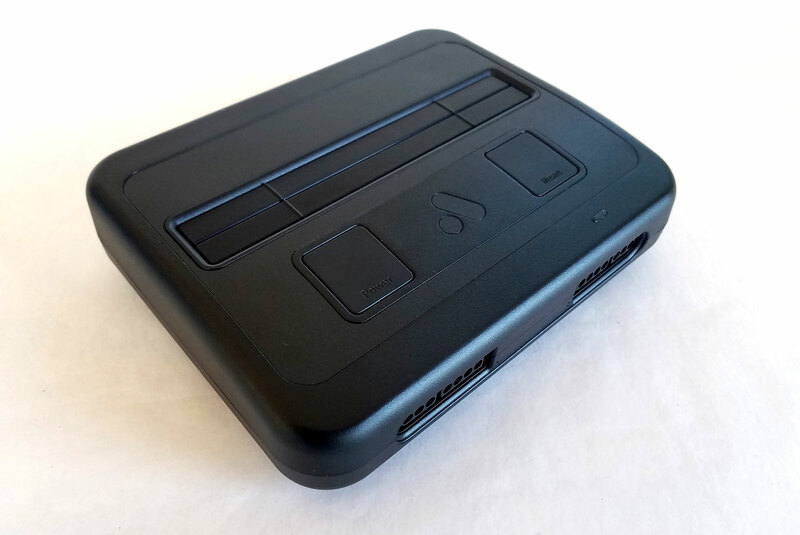 This is solid unit compatible with both SNES and Super Famicom game cartridges. 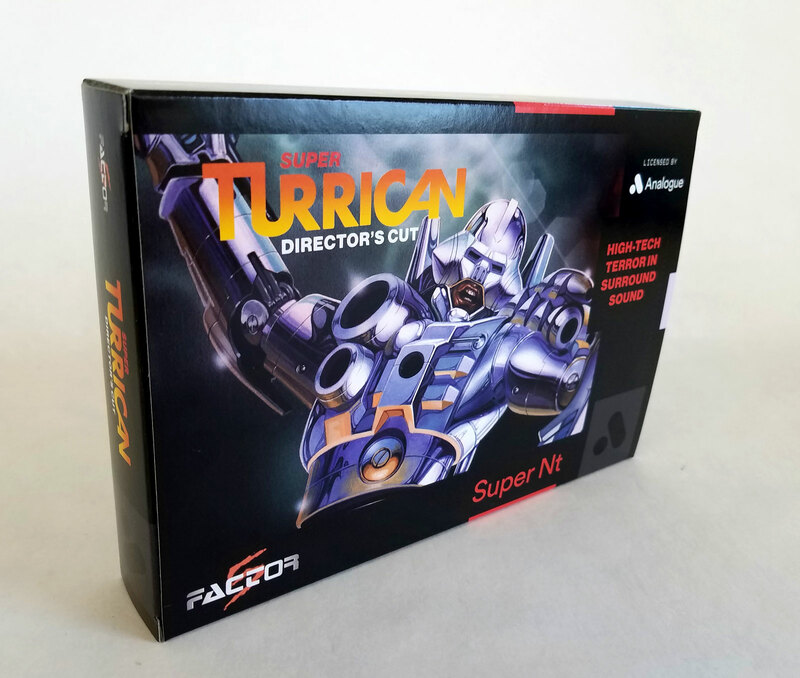 Front of the Analogue Super Nt box with the envelope containing the box for the pack-in game, Super Turrican. 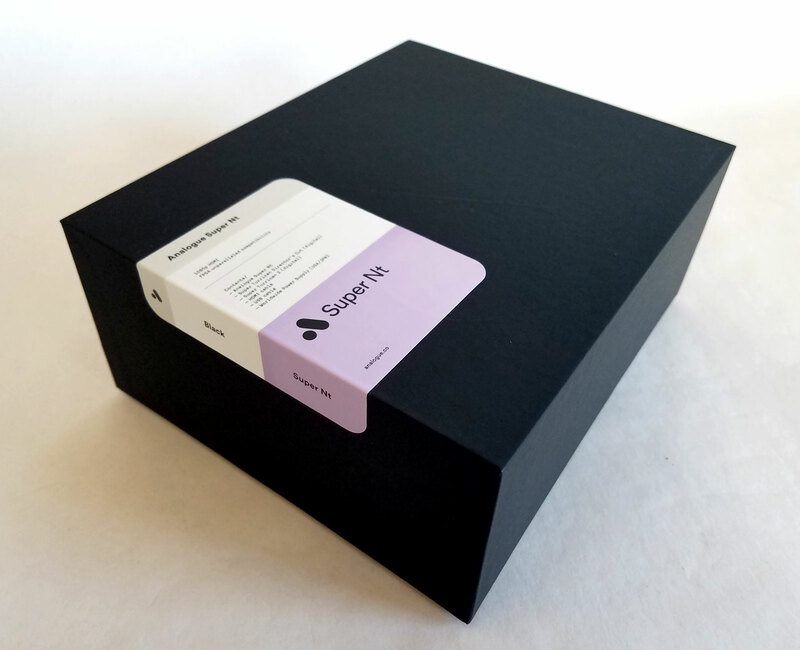 Front of the Analogue Super Nt box. 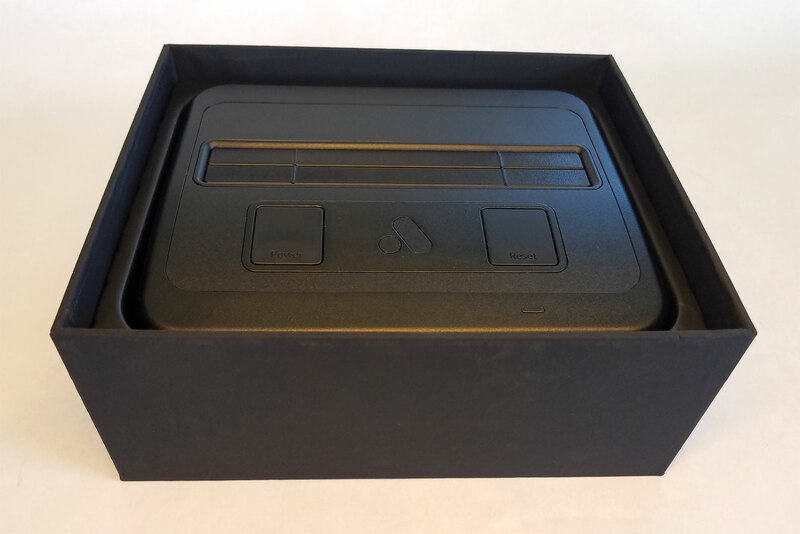 The Analogue Super Nt rests on an internal plastic riser with a layer of foam protecting the top. 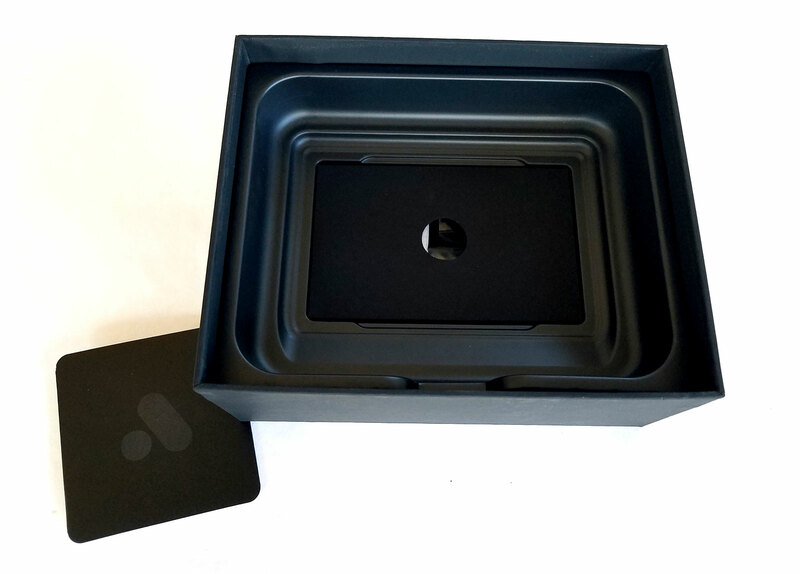 Beneath the Analogue Super Nt console is an insert containing a small manual, a box that holds the USB & HDMI cables and the wall plug. 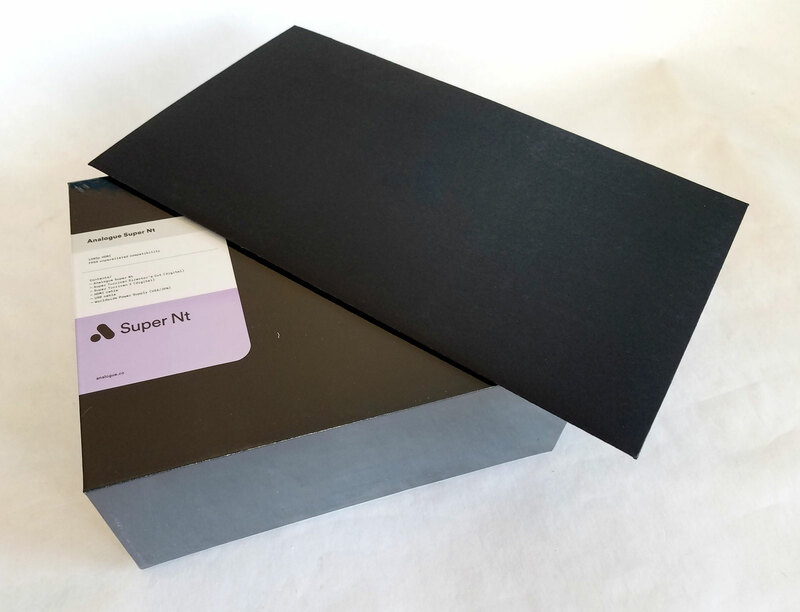 The HDMI cable and USB charger are packaged beneath the Analogue Super Nt console. 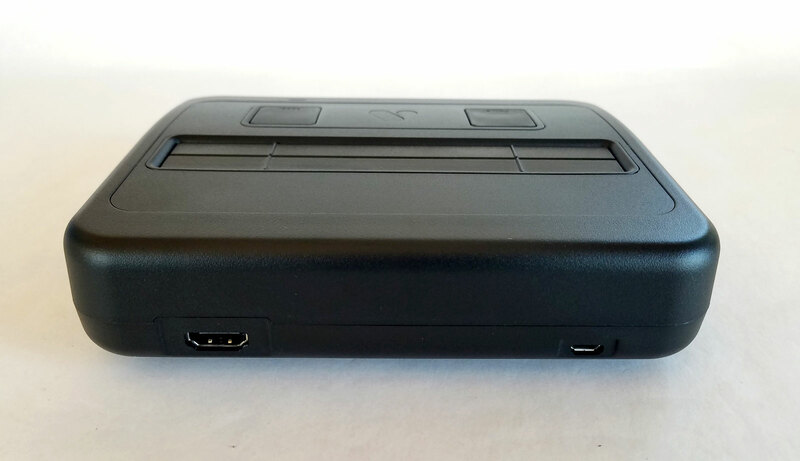 Front of the Analogue Super Nt video game console. 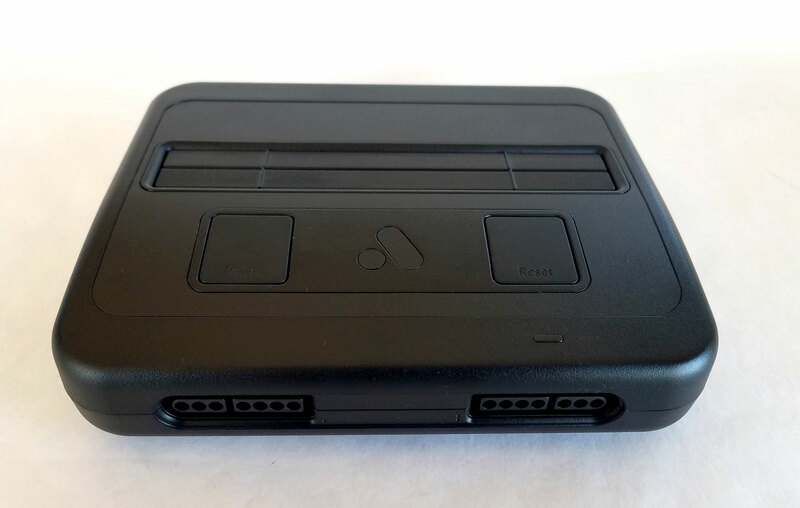 The front of the Analogue Super Nt video game console. 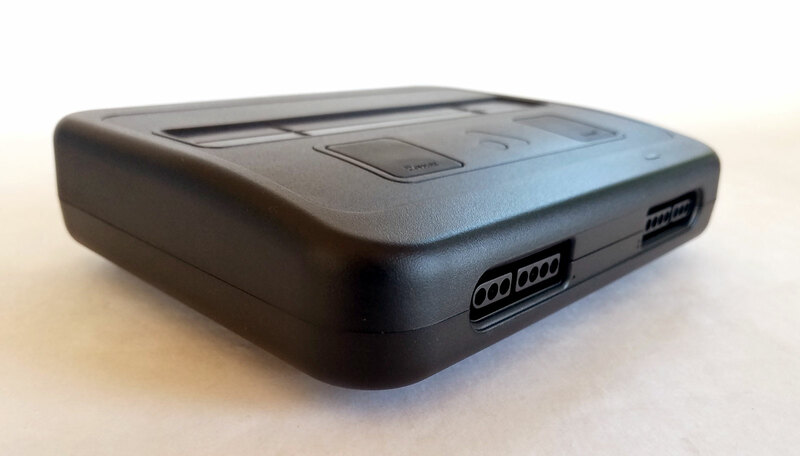 The left side of the Analogue Super Nt video game console. 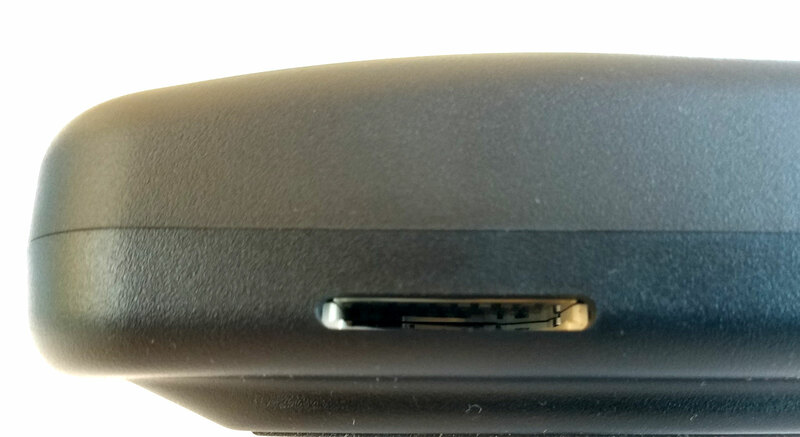 The right side of the Analogue Super Nt video game console shows the SD card slot. 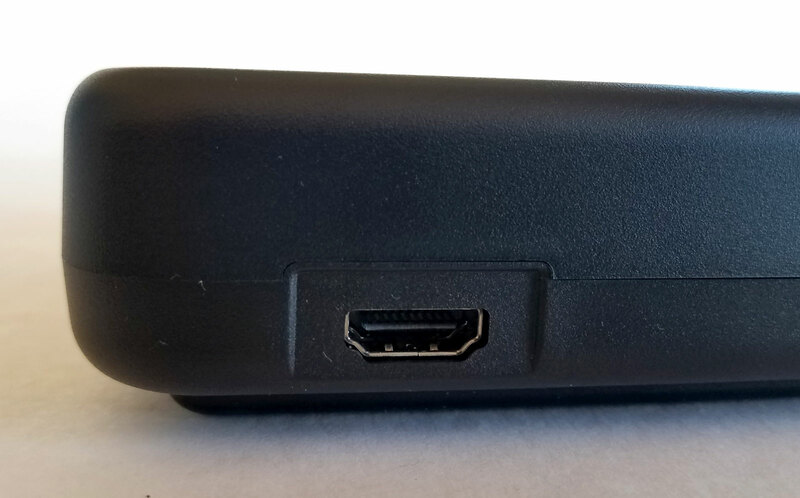 The top of the Analogue Super Nt video game console shows the power, Reset, and cartridge slot. 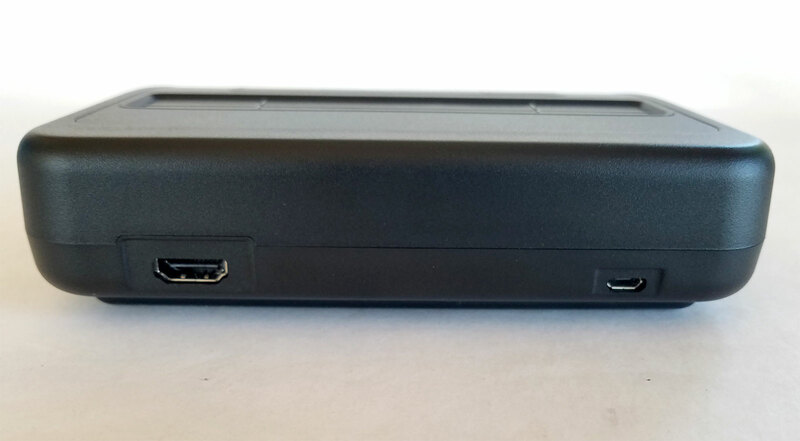 The rear of the Analogue Super Nt video game console shows the A/C power and HDMI ports. 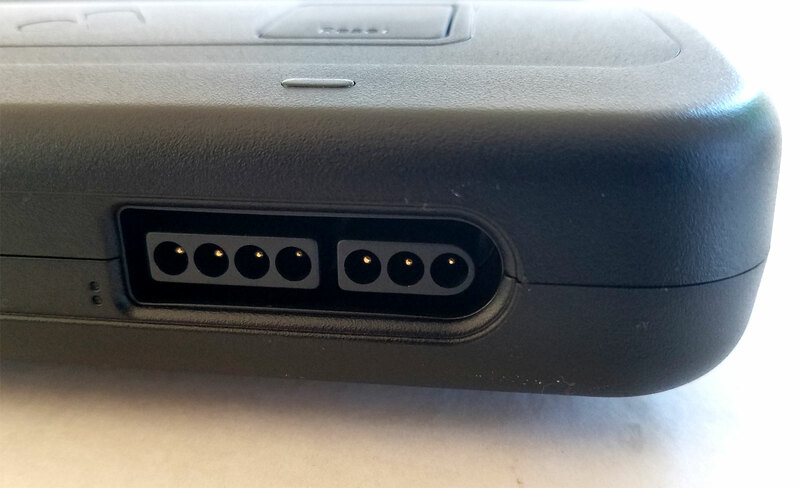 The bottom of the Analogue Super Nt video game console has a no-slip pad that helps keep the unit in place if there was a tug on a wired controller or other cable. 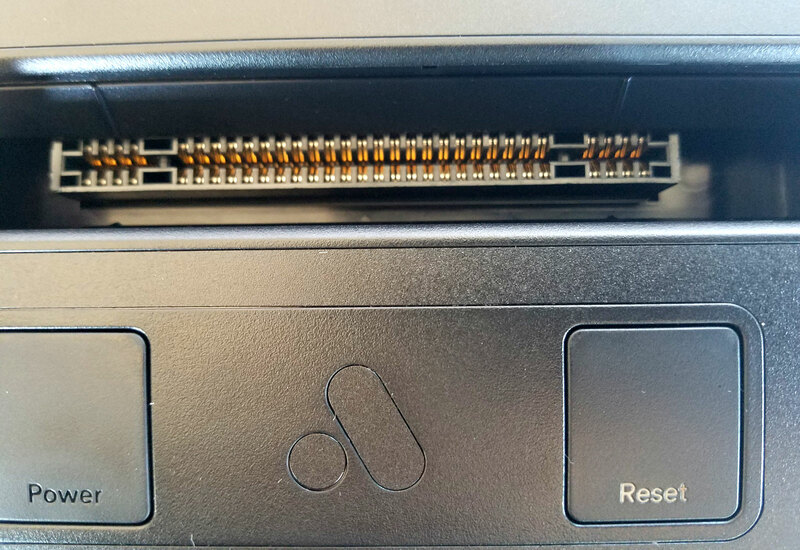 The cartridge slot has dual spring-loaded doors protecting it from dust - much like the Nintendo SNES. 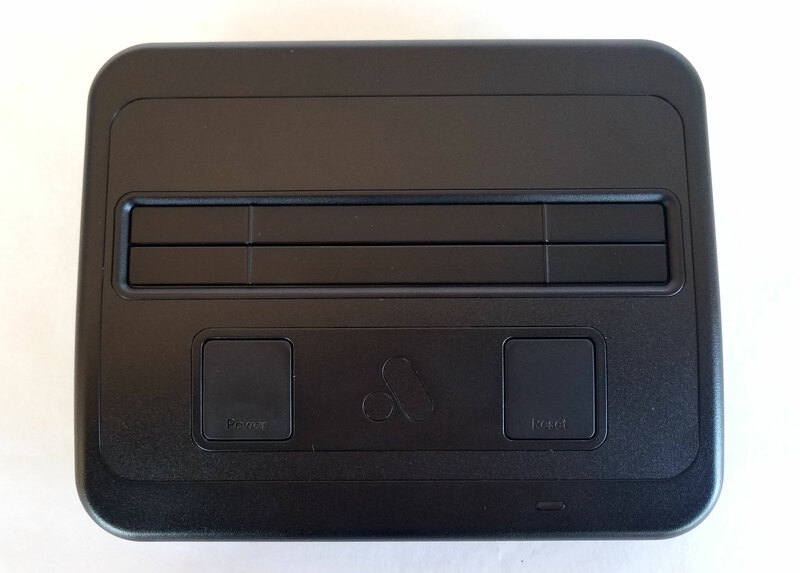 Unlike the Nintendo console, the Analogue Super Nt requires you to manually insert and remove the game carts, where the SNES had a lever to lift the cart from a seated position. 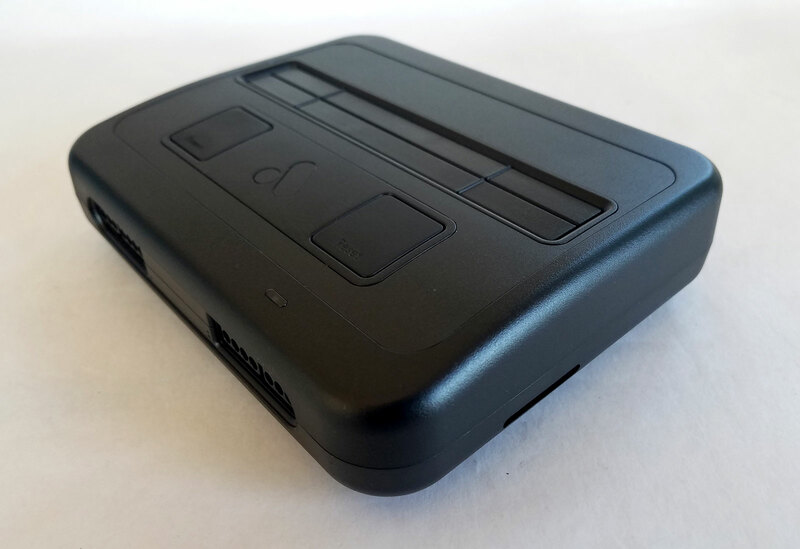 The Analogue Super Nt has two controller ports, but is sold without any controllers which seems odd. However, that allows the buyer to choose how they want to play. 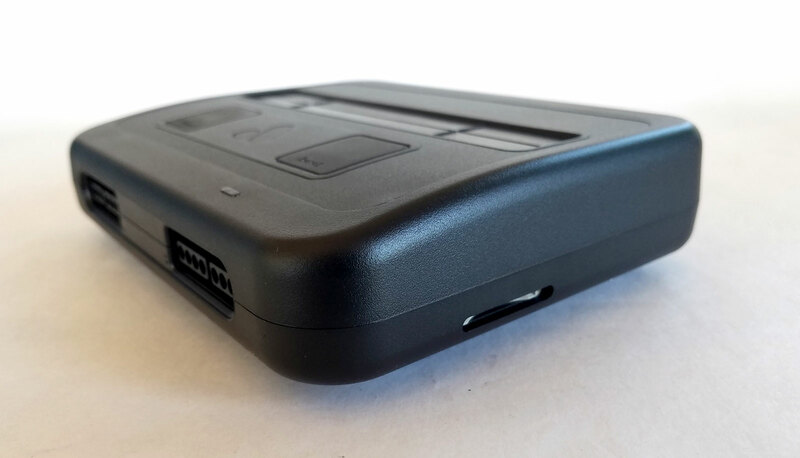 An SD card slot resides on the right-side of the Analogue Super Nt, allowing for flash updates to it's FPGA core. I don't believe game ROMs can be played via an SD card. 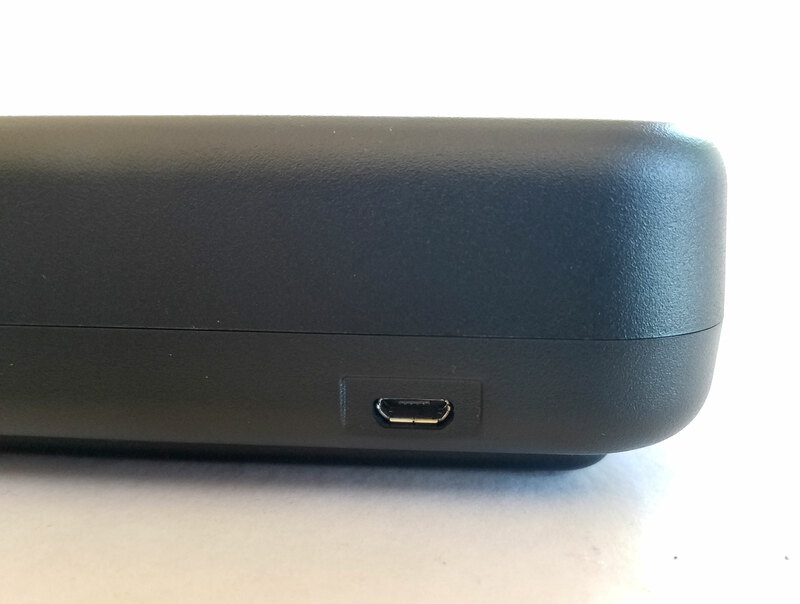 The HDMI port is located on the rear of the Analogue Super Nt. This is the only output featured on the console. 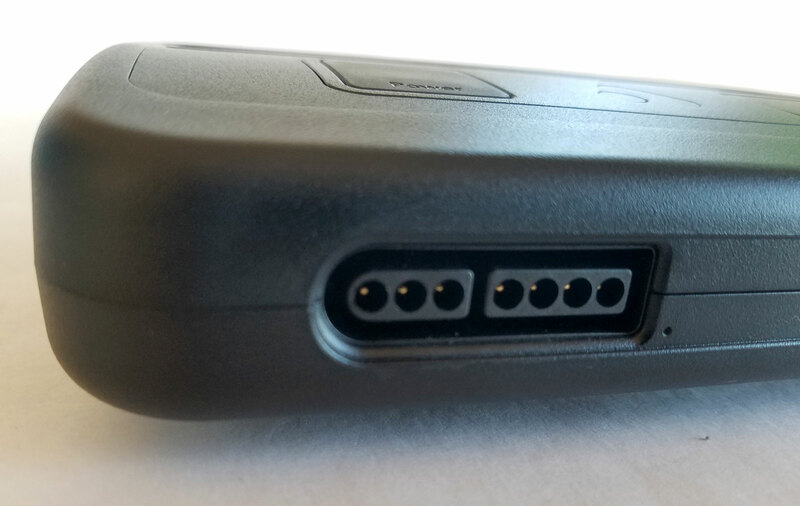 The USB A/C power port is located on the rear of the Analogue Super Nt. 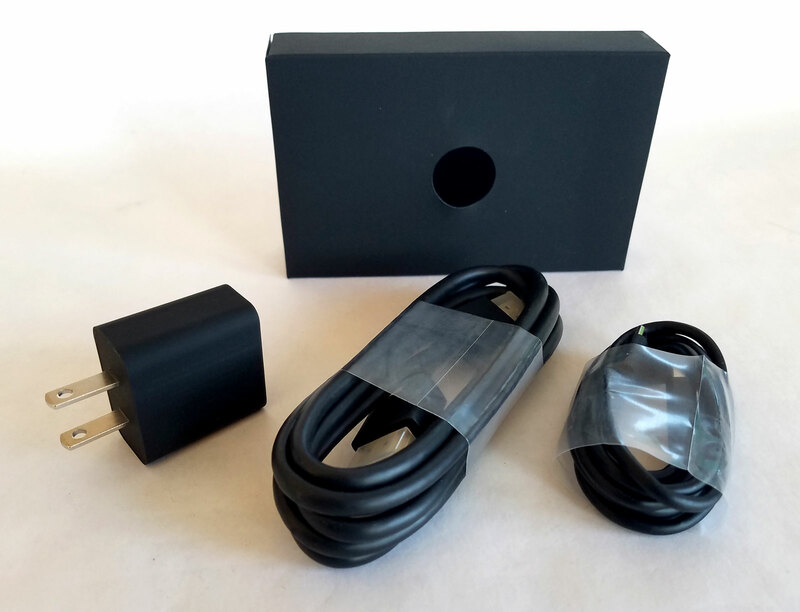 Make sure you use the included wall adapter to ensure the proper power is delivered. Other adapters may damage the console. 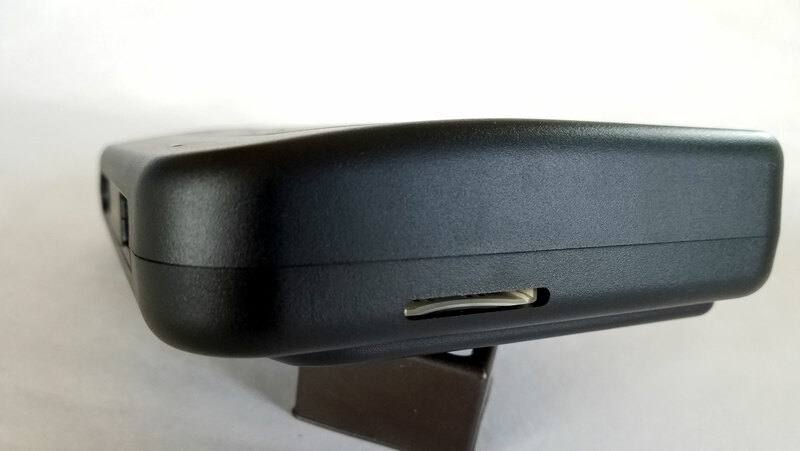 The power button is located on the top surface of the Analogue Super Nt. 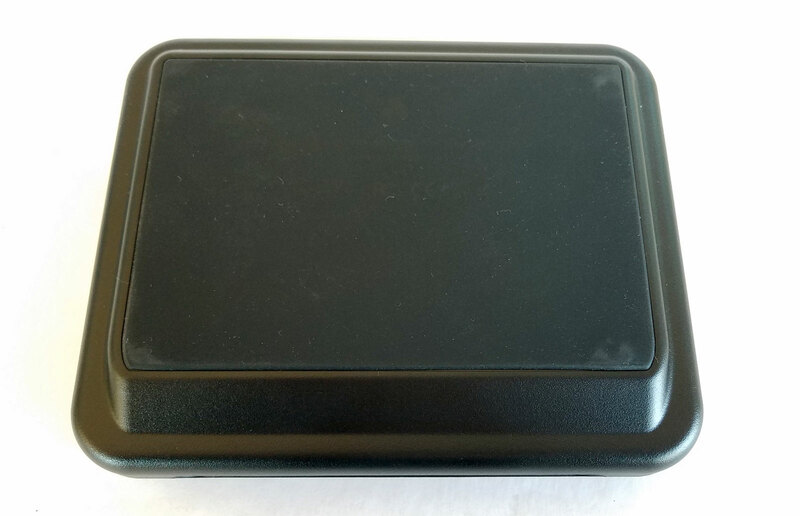 The Reset button is located on the top surface of the Analogue Super Nt. 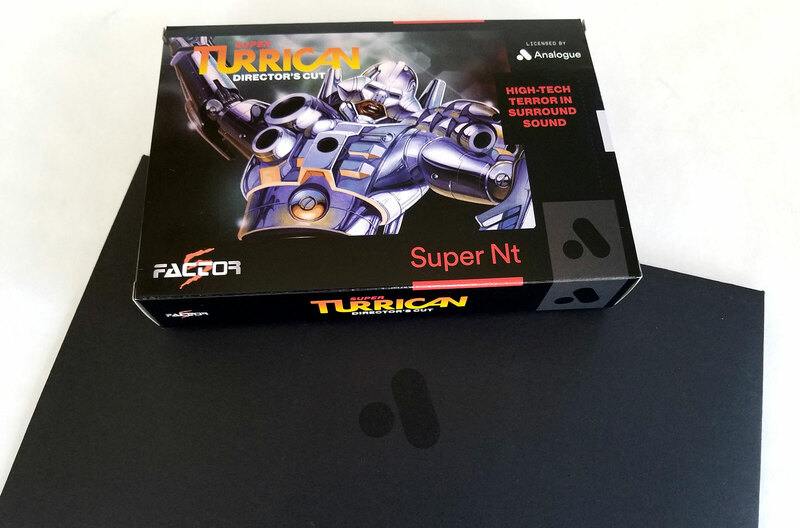 The Analogue Super Nt comes with a pack-in game - Super Turrican. 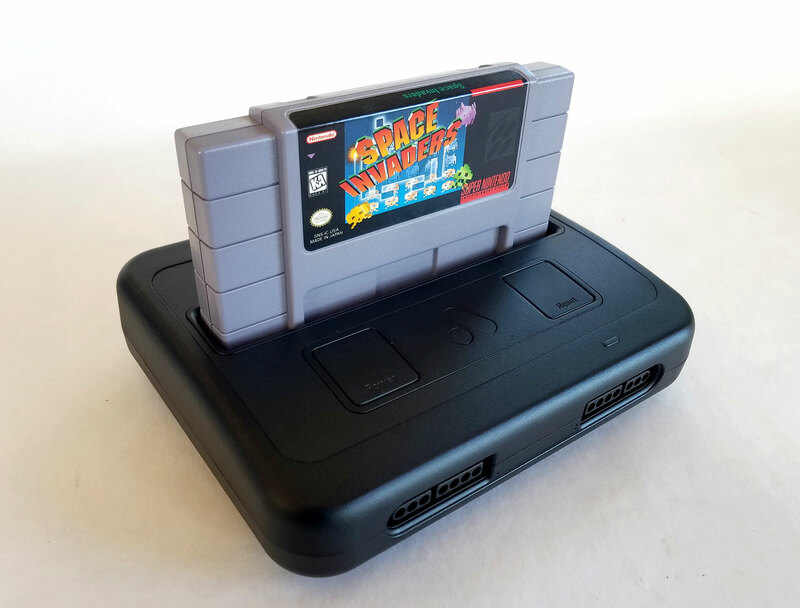 the game is exclusive to the Super Nt by nature of it residing as a built-in game. 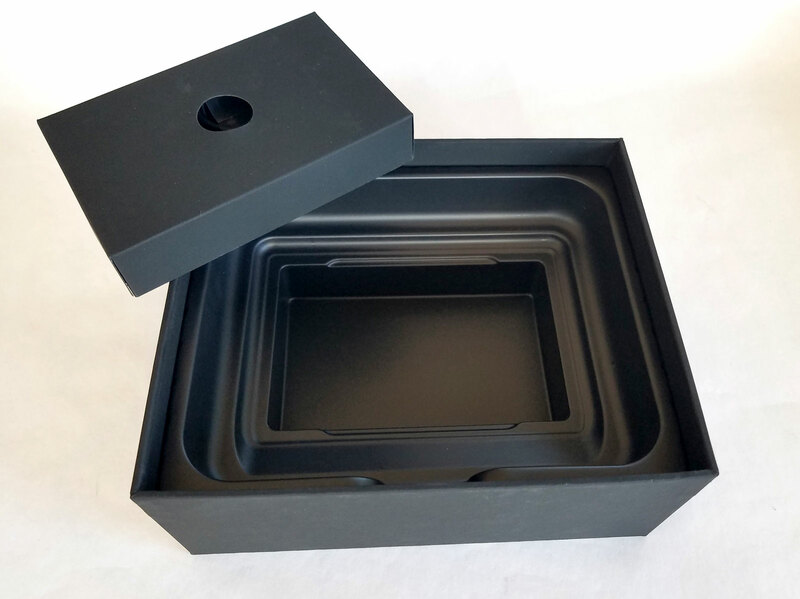 While there is no physical cartridge, Analog includes a box for collectors. 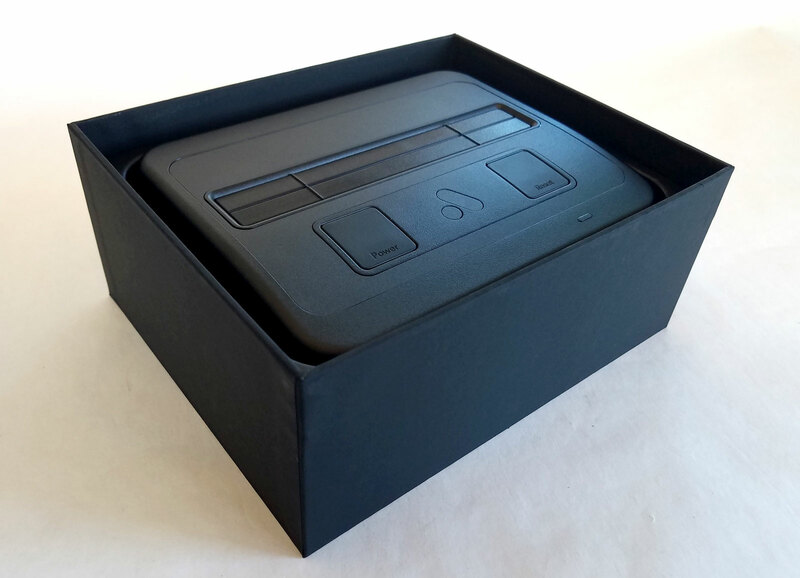 It ships flat with the console, in an envelope, and can be quickly assembled into a standard sized SNES game box. 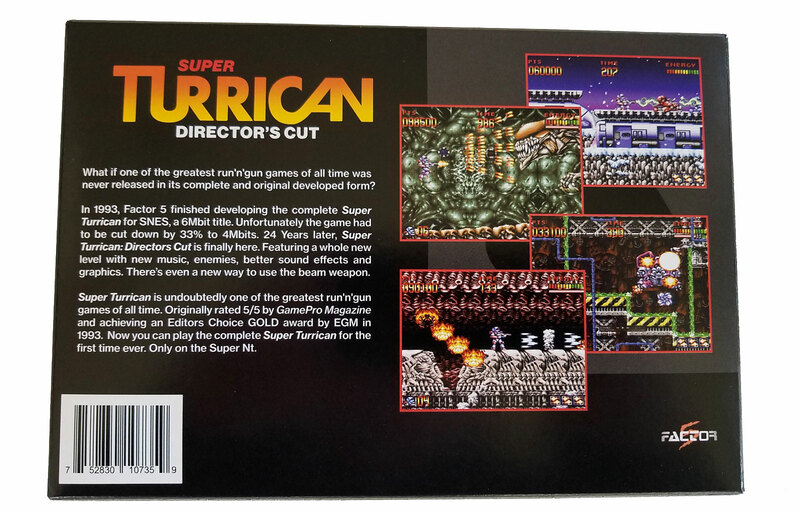 If Super Turrican sounds familiar, you're right! This run 'n gun favorite was completed by Factor 5 in 1993, but had to be cut in size. Analogue bought the rights and released it as a Director's Cut version with an extra level and all sorts of sound and visual upgrades. 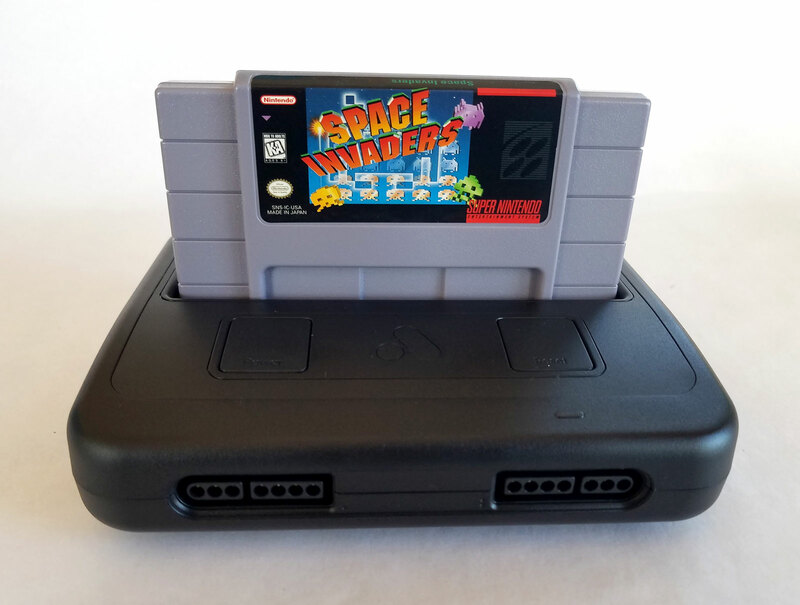 The Analogue Super Nt shown with a cartridge inserted - Space Invaders for SNES. Socks The Cat is a homebrew game about the Clinton's presidential cat.